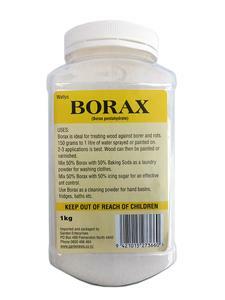 Wally's Borax (Borax pentahydrate), is ideal for treating wood against borer and rots. 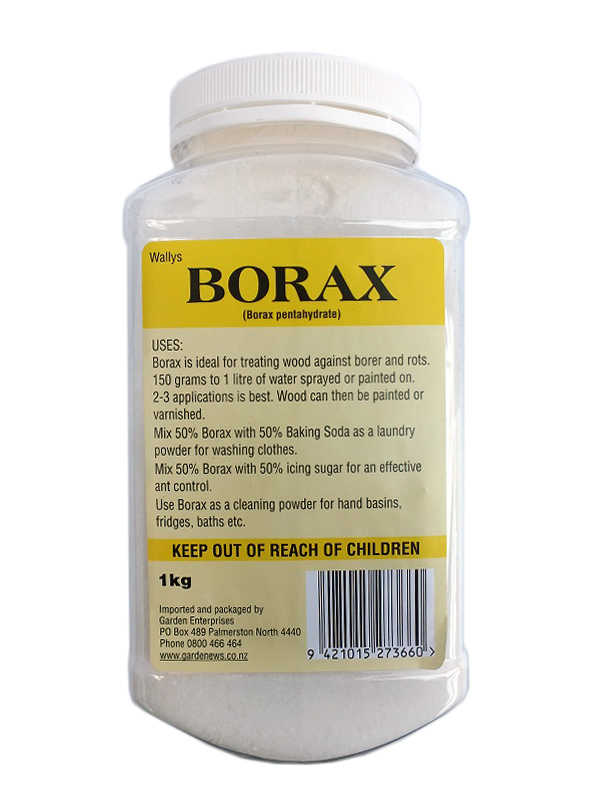 It can also be mixed with baking soda as a laundry powder for washing clothes. Mix it with icing sugar for an effective ant control and use as a cleaning powder for hand basins, fridges and baths etc.